CREDIT: Ari Perilstein/Getty Images for A-OK Collective, LLC. 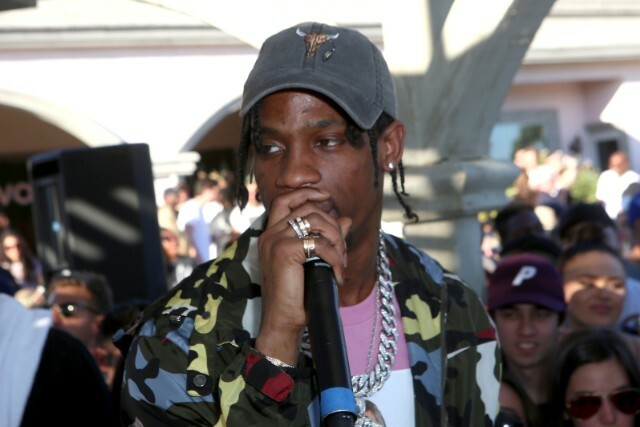 In the buildup to his new album Astroworld, Travis Scott unveiled the album’s carnival cover art earlier this week. Featuring photography from David LaChapelle, the art caught the attention of many, in part because of its use of the same golden Texas Cyclone head that’s been popping up in promotion of the album over the last few weeks. Since then, LaChapelle has shared an alternate version of the artwork featuring transgender model Amanda Lepore. Lepore does not appear in Scott’s final version, leading fans to wonder why exactly she’d been removed from the image, with some suggesting that the action might be transphobic. Scott’s new album Astroworld dropped this Friday, featuring guest appearances from Drake, Pharrell, Frank Ocean, The Weeknd, James Blake, Thundercat and more. The rapper released a brief trailer with the album’s announcement. Read his statement regarding the Amanda Lepore controversy below.